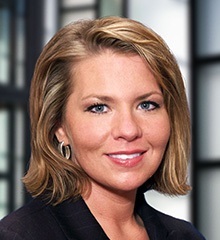 Kimberly Martin-O’Bryan focuses her practice on general liability litigation defense, with part of her practice devoted to the defense of manufacturers, retailers, suppliers and premises owners in toxic tort and environmental litigation. Ms. Martin-O’Bryan also has experience representing professionals in the areas of health care law, legal malpractice, and medical malpractice. She also has experience in representing employers in employment and labor matters. Ms. Martin-O’Bryan’s other areas of practice includes providing a defense in automobile cases, trucking cases, and personal injury cases with a focus on wrongful death and catastrophic injury. She has experience representing collection agencies, credit grantors, and debt collection law firms in actions involving claims of unlawful collection practices, intentional misconduct, and violations of the West Virginia Fair Debt Collection Practices Act and the federal Fair Debt Collection Practices Act.